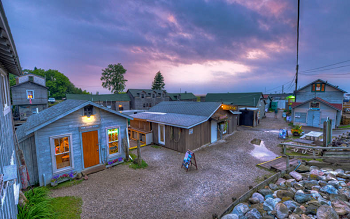 Located along the Lake Michigan shore in Leelanau County, Leland is the site of the oldest and largest Ottawa village on the Leelanau Peninsula. 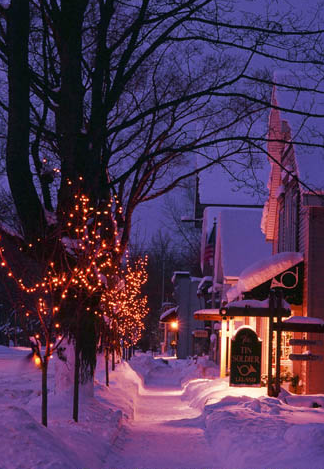 This cozy little town is wedged between Lake Michigan and Lake Leelanau. Part of Leland is nicknamed "Fishtown" for its charming historical preservation. Manitou Islands: A ferry out of Leland provides service to both the North and South Islands where you can visit the well preserved wilderness of Michigan. Leelanau Historical Society Museum: Run by a society of people dedicated to preserving the history of Leelanau County, this museum has exhibits on things such as weddings, lighthouses, ships, Native Americans, the fur trade and more. Whaleback Natural Area: This 40-acre area was sculpted by glaciers over 10,000 years old and offers excellent hiking trails. Lake Leelanau: This skinny lake runs 21 miles through the middle of the Leelanau Peninsula from Leland to Cedar and has scenic beauty, fishing and boating. For over 150 years, Fishtown has evolved as a working waterfront. The shanties represent the heart and foundation of Fishtown as it was over a century ago and are loved for their rustic appeal and resilient functionality. Surviving many cold, snowy winters in Northern Michigan, these shanties continue to tell their story of endurance. You can walk along the docks amongst the weathered fishing shanties, smokehouses, racks of drying fishing nets and fish tugs on the Leland River. 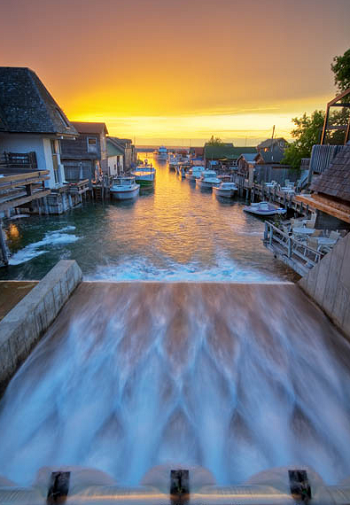 Thanks to the dedication of preserving Fishtown, you can imagine what it would have been like in the early 1900s to live and work in this small fishing village, nestled along the shore of Lake Michigan. Browse the docks at Fishtown and discover restaurants such as The Cove, Carlson's Fisheries and the Village Cheese Shanty. Pick up a cool find from one of the many shops and galleries in Fishtown such as Spörck Tileart, Reflections, Leland Gal, Leland Beach Company and The Fish Hook. There's even the Falling Waters Lodge, where you can stay right on the river in Fishtown and have a great view of the waterfalls and Lake Michigan. The small, charming town of Leland is a great "walking around" town, where you can arrive by car or boat! All of the shops, restaurants, galleries and museums are located within walking distance. There is easy access to public beaches, boat launches on each lake and a river connecting the two. Visit the Leelanau Historical Society Museum, right in downtown Leland, to get a taste of the history of the area. The Leelanau Historical Society was launched in 1957 by a group of residents dedicated to collecting and preserving Leelanau’s history. Leland, first established in 1853, became the location for the Society. When the old county jail became available in 1959, the museum found its first home. Through generous donations and grants, a new museum was built in 1985 and later expanded. Leelanau Peninsula's cool winter climate, rolling hills and warm, sunny summers is ideal for growing fruit and hops, thus becoming the home of many wineries, breweries and distillaries. 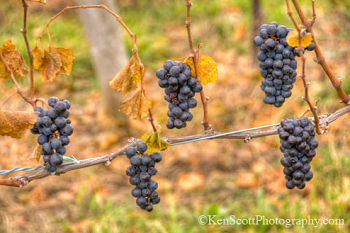 Leland wineries include Verterra Winery & Tasting Room and Grand Traverse Distillery. Just outside of Leland is Good Harbor Vineyards, Bluestone Vineyards and Gill's Pier Vineyard & Winery. One of Leland's signature events is the annual Leland Wine and Food Festival held on the second Saturday each June. This festival features many of the region's exquisite award winning wines as well as outstanding food and hors d'oeuvres from local restaurants. 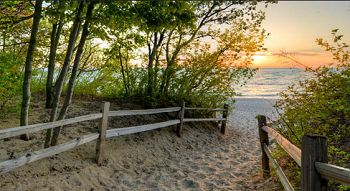 Leelanau county is known for its pristine beaches, and Leland has some of the best in the area! Right downtown in Leland, Van's Beach is at the end of Cedar Street and is in walking distance from Fishtown or Downtown Leland. Farther down M-22, turn on to Reynolds Street to access the South Beach. Just outside of downtown Leland on North Street, the North Beach is another clean, sandy beach to visit. There is also access to beaches along Lake Leelanau. Downtown Leland, you'll come across the Village Green, a peaceful location right downtown, perfect for a picnic. Bartholemew Park on Pearl St., 7 blocks from the main street, includes a public beach and park on North Lake Leelanau with a boat launch, picnic area and dock. Whaleback Natural Area is a beautiful 40-acre natural area with hiking trails open to the public. This challenging hike takes about an hour and a half to complete but comes will a spectacular Lake Michigan view. There's an info kiosk at the trailhead and benches along the steep trail. Located off M-22, about 1.5 miles south of Leland, look for the Conservancy sign. To have local information sent to you by mail, please call the Leelanau Chamber at (231) 994-2202. Things to Do in Leelanau County -- In addition to Fishtown in downtown Leland, be sure to visit some of the other attractions found in Leelanau County. Things to Do in Benzie County -- In addition to sandy beaches along the Lake Michigan shoreline, the county is home of part of the Sleeping Bear Dunes National Lakeshore, lighthouses at Point Betsie and Frankfort, and the Betsie Valley Trail for hiking and biking along 22 miles from Elberta to Thompsonville. Northwest Michigan Activities & Things to Do -- While in Northwest Michigan, visit beaches and lighthouses, antiques, art galleries, casinos and wineries and breweries, and more. West Michigan Things to Do -- Check this site out for West Michigan activities in the towns of Manistee, Ludington, Pentwater, the Silver Lake Sand Dunes and more. If you like traveling on M-22, then you will love the Lake Michigan Circle Tour! Dozens of articles for travel destinations around the Lake Michigan Circle Tour can be found in the Lake Michigan Circle Tour website. Enjoy reading and then plan your getaway!